This battery module integrates with a Red V-lock I/O Expander to provide more power and video in and outputs for your camera. 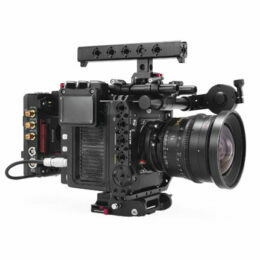 The module is only sold as a replacement piece for the Tilta Camera Cage for Red DSMC2 – C1 since it has exposed pins on top that need to be covered by the top plate that is included in the cage for it to be safe and fully operational. The module comes in both V-mount and gold mount versions.